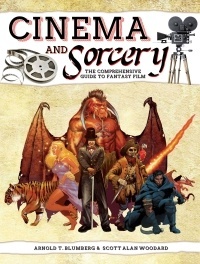 May 9, 2016–SEATTLE, WA: Green Ronin Publishing announced today that Cinema & Sorcery: The Comprehensive Guide to Fantasy Film is at print and will be in stores in June. The book, by authors Arnold T. Blumberg and Scott Alan Woodard, features a full chapter on each of 50 sword and sorcery movies, from The Thief of Baghdad to The Hobbit: An Unexpected Journey. It then provides shorter write-ups of over 400 additional fantasy films! The Cinema & Sorcery e-book is available now. Those who pre-order the print book from https://greenronin.com/S1S9K can get the e-book (in epub, mobi, and PDF formats) for only $5. The print edition is at press now and will be in stores in June. You can read a sample chapter from Cinema & Sorcery at https://greenronin.com/7QzI1. To keep up with news about the book and other Green Ronin releases, please visit https://greenronin.com/. From the dawn of feature films, fans—be they artists, gamers, visionaries, writers, or dreamers—have drawn inspiration from the big screen. Now, between the covers of Cinema & Sorcery, embark on a decades-long journey through time from the earliest days of sword and sorcery films up to the present day. Learn the who, the what, the where, and the how of your favorite fantasy movies (and perhaps a few you may have never even heard of until now). Fifty films are covered in great detail, followed by shorter entries for every fantasy film we could find. So turn up your Krull soundtrack, slip into your Labyrinth t-shirt, and brush up on your Princess Bride quotes, this is Cinema & Sorcery: The Comprehensive Guide to Fantasy Films! Green Ronin Publishing is a Seattle based company dedicated to the art of great games. Since the year 2000 Green Ronin has established a reputation for quality and innovation that is second to none, publishing such roleplaying game hits as Fantasy AGE, Dragon Age, and A Song of Ice and Fire Roleplaying, and winning over 40 awards for excellence. For an unprecedented three years running Green Ronin won the prestigious GenCon & EnWorld Award for Best Publisher. Last year it worked with Wil Wheaton to create the Geek & Sundry web series Titansgrave: The Ashes of Valkana. 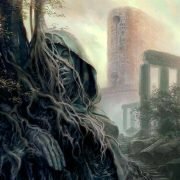 Ronin Round Table: Share Your Enthusiasm Ronin Round Table: GenCon 2016 Roleplaying Games!